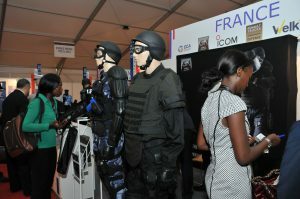 Compétences SARL created ShieldAfrica in Côte d’Ivoire in 2013 and organised the first three Security and Defence exhibitions. From the outset, this event was designed to provide the continent’s public and private decision-makers with solutions from all over the world, tailored to Africa’s Security and Defence requirements. In 2015, COGES Africa partnered up with “Compétences” to help develop ShieldAfrica by providing the expertise and know-how of Eurosatory, the leading land and air-land Defence and Security exhibition. With the benefit of this globally recognised expertise, ShieldAfrica has become the benchmark exhibition on the African continent. 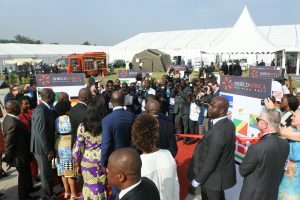 Between the third (2015) and fourth events (2017), ShieldAfrica tripled the number of exhibitors and increased the number of official delegations four-fold. For the fourth event, the exhibition innovated by organising a pre-opening plenary conference attended by five hundred participants (official delegations and exhibitors). 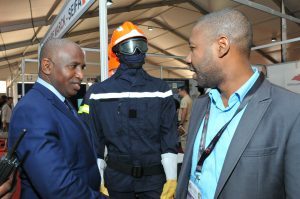 Today, SHIELDAFRICA is the benchmark exhibition in Africa where public and private sector Security and Defence players meet global industrial manufacturers who come to offer innovative and tried and tested solutions. This is the exhibition at which experts and operational agents present their work to African leaders from all over the continent, while informing them of changing threats and the appropriate solutions to them.